“(Dorothy) Sayers’s frustrations in young adulthood were exacerbated by crises in her personal life. One of the most traumatic incidents was her relationship with writer John Cournos. Cournos had also scorned detective stories, even as Sayers was beginning to write them. 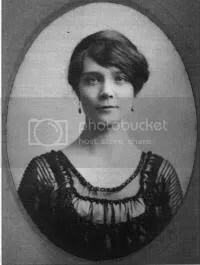 She was thus wounded deeply to learn in 1924 that he had wed an American detective writer with two children.